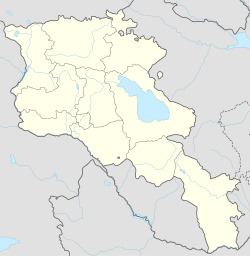 Lernagyugh (Armenian: Լեռնագյուղ; Chorlu) is a small village in the Shirak Province of Armenia. ^ "Dictionary of Armenian residences (Հայաստանի հանրապետության բնակավայրերի բառարան), page 87" (PDF). Retrieved April 18, 2014. This article about a location in Shirak Province, Armenia is a stub. You can help Wikipedia by expanding it. This page was last edited on 12 January 2018, at 08:25 (UTC).